Easter Bunny barely escapes death! It is dangerous being an Easter Bunny in Leetonia. The poor Bunny barely escaped death this morning delivering peeps to the Mountain girls. 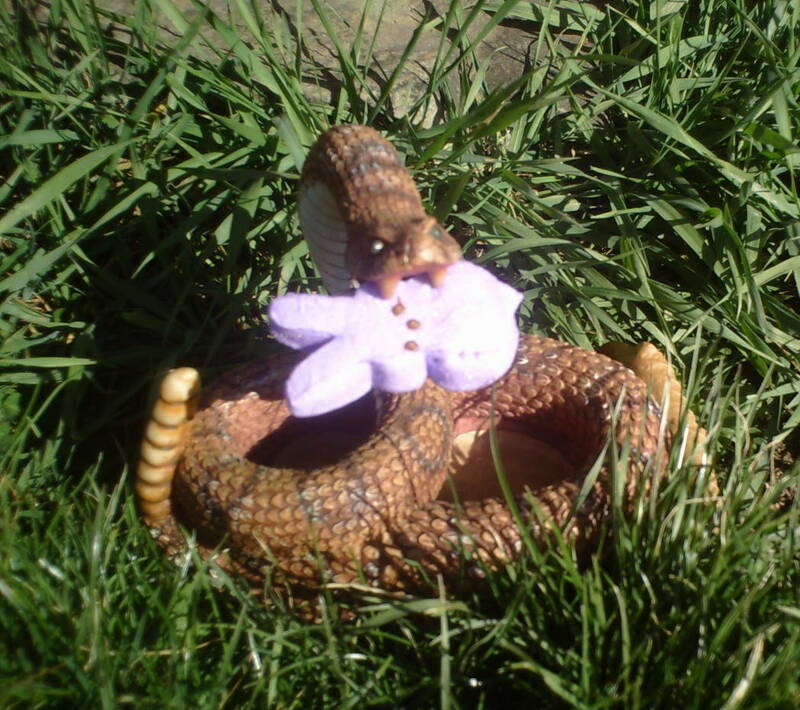 A rattlesnake attempting to attack the Easter Bunny was thwarted when the Easter Bunny threw a peep into his mouth and as the rattlesnake gummed his way through the peep the Easter Bunny was saved. Thank goodness cause I would have missed all the great stuff the Easter Bunny brought us this morning. Looks like a chilly start to the day at 29 degrees this morning but the sun is warming it up fast and it looks to be another nice day on the mountain. Have a great Leetonia Easter Day. Mountain girl, Paula, logging out. Last Monday a forest fire was reported in the Slider Run area. I drove up the road about three miles from Leetonia, but couldn't see anything. We did notice helicopters dropping water that day. Currently, have no reports of the scope of this fire. We are under a Red Flag Fire Warning A RED FLAG WARNING MEANS THAT CRITICAL FIRE WEATHER CONDITIONS ARE EITHER OCCURRING NOW... OR WILL SHORTLY. A COMBINATION OF STRONG WINDS... LOW RELATIVE HUMIDITY... AND WARM TEMPERATURES WILL CREATE EXPLOSIVE FIRE GROWTH POTENTIAL. This will last through Saturday with gusting winds to 25 mph potential for damage is great. It is best not to have any fires until we get some rain and the new growth gets going. With a lot of people up for the Easter weekend we are holding our breath that everyone will be responsible. We don't want a rerun of the fire we had a few years ago.